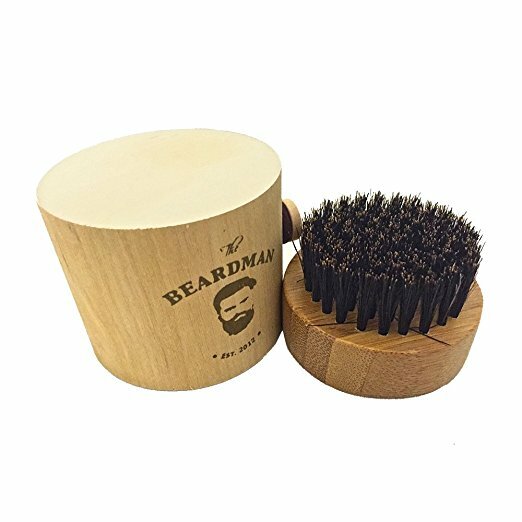 This Beautiful Beard Brush is a great addition to a head to toe grooming regimen, for men with both short and long beards. This handheld brush fits well in the palm of your hand for easy use. Made from pure boar bristle it helps distribute hair’s natural oils from root to tip promoting shine and increased smoothness of beard hair. The boar bristles can easily distribute beard oil beard balms and conditioners. The satin, bamboo wood handle adds functionality and style to this classic hair brush. Suitable for all hair types.